In 2014, Randa Canada launched slippers in just one retailer. 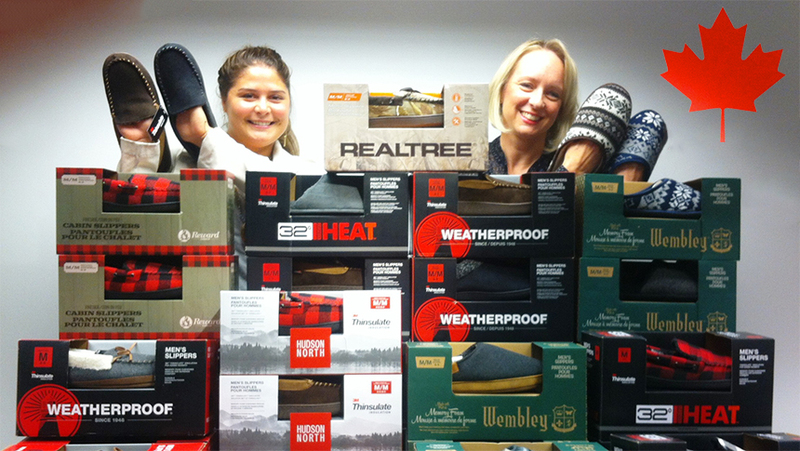 In the short time since, the team has performed some seasonal footwear feats. Business has burgeoned into four retailers: Hudson’s Bay, Sears, London Drugs, and Winners under six brands, Wembley, Weatherproof, 32Heat, Reward, Realtree, and the private label Hudson North. When Hudson's Bay moved their slipper program into private label this year, they chose Randa over footwear vendors based on great product and our strong partnership. Great footsteps to follow.